Your temporomandibular joints (TMJ), located where your lower jaw meets the skull, play an essential role in nearly every mouth function. It’s nearly impossible to eat or speak without them. Likewise, jaw joint disorders (temporomandibular joint disorders or TMD) can make your life miserable. Not only can you experience extreme discomfort or pain, your ability to eat certain foods or speak clearly could be impaired. But don’t assume you have TMD if you have these and other symptoms — there are other conditions with similar symptoms. You’ll need a definitive diagnosis of TMD from a qualified physician or dentist, particularly one who’s completed post-graduate programs in Oral Medicine or Orofacial Pain, before considering treatment. 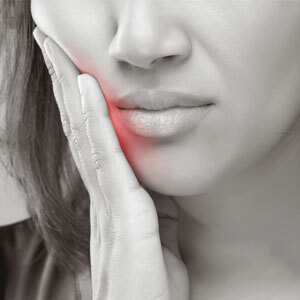 If you are diagnosed with TMD, you may then face treatment choices that emanate from one of two models: one is an older dental model based on theories that the joint and muscle dysfunction is mainly caused by poor bites or other dental problems. This model encourages treatments like orthodontically moving teeth, crowning problem teeth or adjusting bites by grinding down tooth surfaces. A newer treatment model, though, has supplanted this older one and is now practiced by the majority of dentists. This is a medical model that views TMJs like any other joint in the body, and thus subject to the same sort of orthopedic problems found elsewhere: sore muscles, inflamed joints, strained tendons and ligaments, and disk problems. Treatments tend to be less invasive or irreversible than those from the dental model. The newer model encourages treatments like physical therapy, medication, occlusive guards or stress management. The American Association of Dental Research (AADR) in fact recommends that TMD patients begin their treatment from the medical model rather than the dental one, unless there are indications to the contrary. Many studies have concluded that a majority of patients gain significant relief with these types of therapies. If a physician or dentist recommends more invasive treatment, particularly surgery, consider seeking a second opinion. Unlike the therapies mentioned above, surgical treatments have a spotty record when it comes to effectiveness — some patients even report their conditions worsening afterward. Try the less-invasive approach first — you may find improvement in your symptoms and quality of life. It’s hard to avoid stress in the 21st Century. We’re all bombarded with stressors, from work to family — even our smart phones! The problem really isn’t the stressors themselves but how we respond to them and try to relieve stress. This can often have a negative effect on our health. 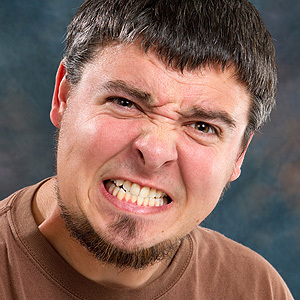 One example: bruxism, also known as teeth grinding or clenching. These habits involve the rhythmic or spasmodic clenching, biting or grinding of the teeth, often involuntarily, beyond normal chewing function. It often occurs while we sleep — jaw soreness the next morning is a telltale sign. While there are other causes, stress is one of the most common for adults, bolstered by diet and lifestyle habits like tobacco or drug use, or excessive caffeine and alcohol. Teeth grinding’s most serious consequence is the potential for dental problems. While teeth normally wear as we age, grinding or clenching habits can accelerate it. Wearing can become so extensive the enamel erodes, possibly leading to fractures or cracks in the tooth. When dealing with this type of bruxism, we must address the root cause: your relationship to stress. For example, if you use tobacco, consider quitting the habit — not only for your overall health, but to remove it as a stress stimulant. The same goes for cutting back on your consumption of caffeinated or alcoholic drinks. Adopt an “unwinding” pattern at night before you sleep to better relax: for example, take a warm bath or keep work items or digital media out of the bedroom.Â Many people also report relaxation or stress-relief techniques like meditation, mindfulness or biofeedback helpful. There’s another useful tool for easing the effects of nighttime teeth grinding: an occlusal guard. This custom-fitted appliance worn while you sleep prevents teeth from making solid contact with each other when you clench them. This can greatly reduce the adverse effects on your teeth while you’re working on other stress coping techniques. Teeth grinding or clenching can prove harmful over time. The sooner you address this issue with your dentist or physician, the less likely you’ll experience these unwanted consequences.